An Operating System performs all the basic tasks like managing file,process, and memory. Thus operating system acts as manager of all the resources, i.e. resource manager. Thus operating system becomes an interface between user and machine. This type of operating system do not interact with the computer directly. 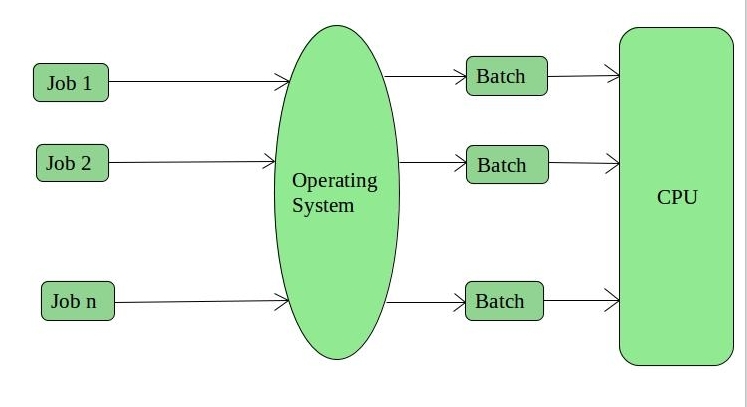 There is an operator which takes similar jobs having same requirement and group them into batches. It is the responsibility of operator to sort the jobs with similar needs. Examples of Batch based Operating System: Payroll System, Bank Statements etc. Each task has given some time to execute, so that all the tasks work smoothly. Each user gets time of CPU as they use single system. These systems are also known as Multitasking Systems. The task can be from single user or from different users also. The time that each task gets to execute is called quantum. After this time interval is over OS switches over to next task. Examples of Time-Sharing OSs are: Multics, Unix etc. These types of operating system is a recent advancement in the world of computer technology and are being widely accepted all-over the world and, that too, with a great pace. Various autonomous interconnected computers communicate each other using a shared communication network. Independent systems possess their own memory unit and CPU. These are referred as loosely coupled systems or distributed systems. These systems processors differ in sizes and functions. 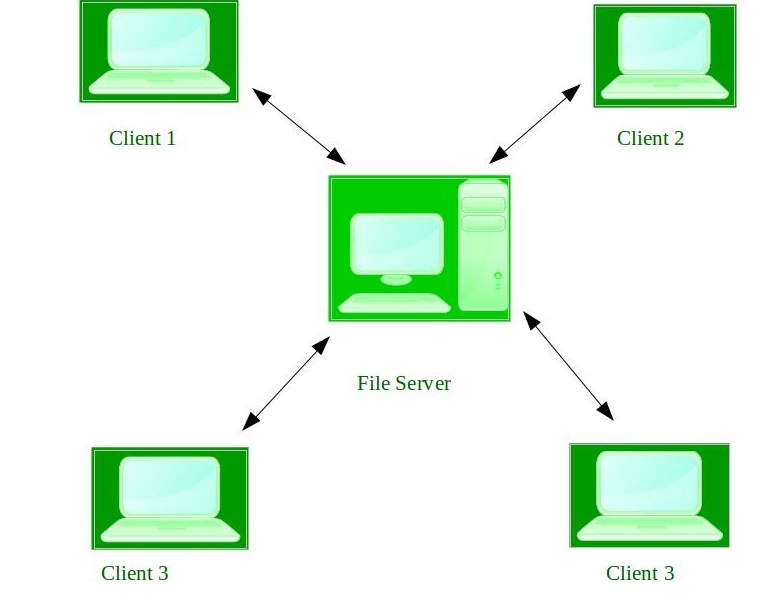 The major benefit of working with these types of operating system is that it is always possible that one user can access the files or software which are not actually present on his system but on some other system connected within this network i.e., remote access is enabled within the devices connected in that network. Examples of Distributed Operating System are- LOCUS etc. These systems runs on a server and provides the capability to manage data, users, groups, security, applications, and other networking functions. These type of operating systems allows shared access of files, printers, security, applications, and other networking functions over a small private network. 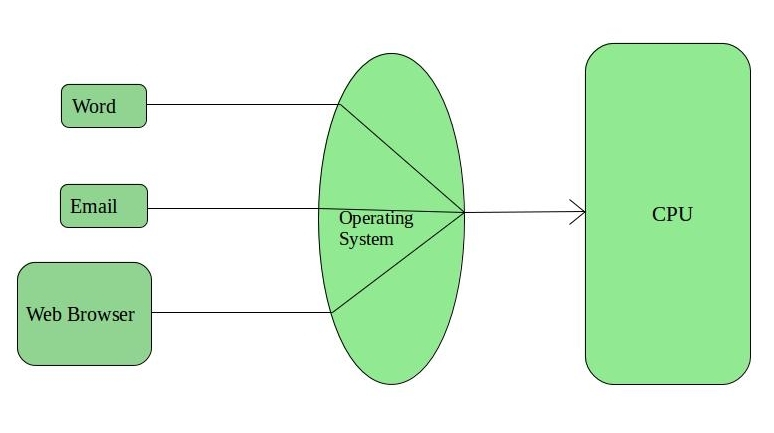 One more important aspect of Network Operating Systems is that all the users are well aware of the underlying configuration, of all other users within the network, their individual connections etc. and that’s why these computers are popularly known as tightly coupled systems. Examples of Network Operating System are: Microsoft Windows Server 2003, Microsoft Windows Server 2008, UNIX, Linux, Mac OS X, Novell NetWare, and BSD etc. These types of OSs serves the real-time systems. The time interval required to process and respond to inputs is very small. This time interval is called response time. Real-time systems are used when there are time requirements are very strict like missile systems, air traffic control systems, robots etc. These OSs are meant for the applications where time constraints are very strict and even the shortest possible delay is not acceptable. These systems are built for saving life like automatic parachutes or air bags which are required to be readily available in case of any accident. Virtual memory is almost never found in these systems. 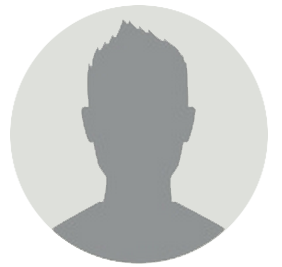 These OSs are for applications where for time-constraint is less strict. Task Shifting: Time assigned for shifting tasks in these systems are very less. For example in older systems it takes about 10 micro seconds in shifting one task to another and in latest systems it takes 3 micro seconds. Focus on Application: Focus on running applications and less importance to applications which are in queue. 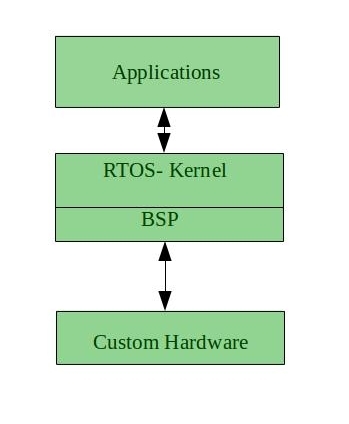 Real time operating system in embedded system: Since size of programs are small, RTOS can also be used in embedded systems like in transport and others. Error Free: These types of systems are error free. 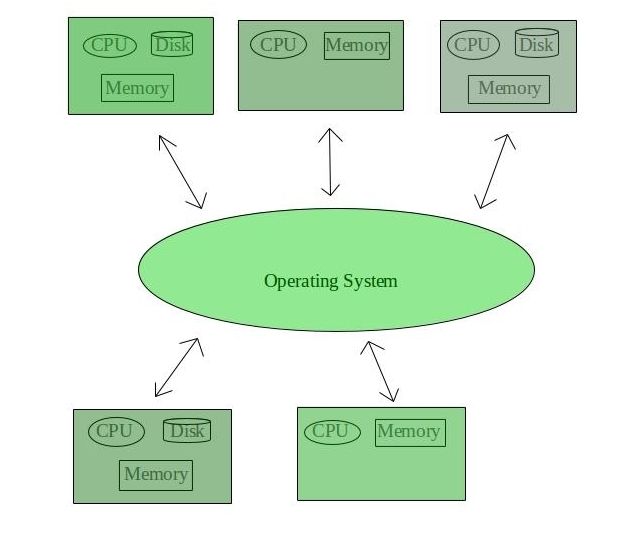 Memory Allocation: Memory allocation is best managed in these type of systems. Limited Tasks: Very few task run at the same time and their concentration is very less on few applications to avoid errors. Use heavy system resources: Sometimes the system resources are not so good and they are expensive as well. Complex Algorithms: The algorithms are very complex and difficult for the designer to write on. Device driver and interrupt signals: It needs specific device drivers and interrupt signals to response earliest to interrupts. Thread Priority: It is not good to set thread priority as these systems are very less pron to switching tasks. Examples of Real-Time Operating Systems are: Scientific experiments, medical imaging systems, industrial control systems, weapon systems, robots, air traffic control systems, etc.